The Max-Schmeling Hall is one of the biggest town halls of Berlin, with a capacity of up to 11.900 spectators. Initially the request for proposals envisaged a mere boxing hall, during the tendering preparations for the Olympic Games 2000. 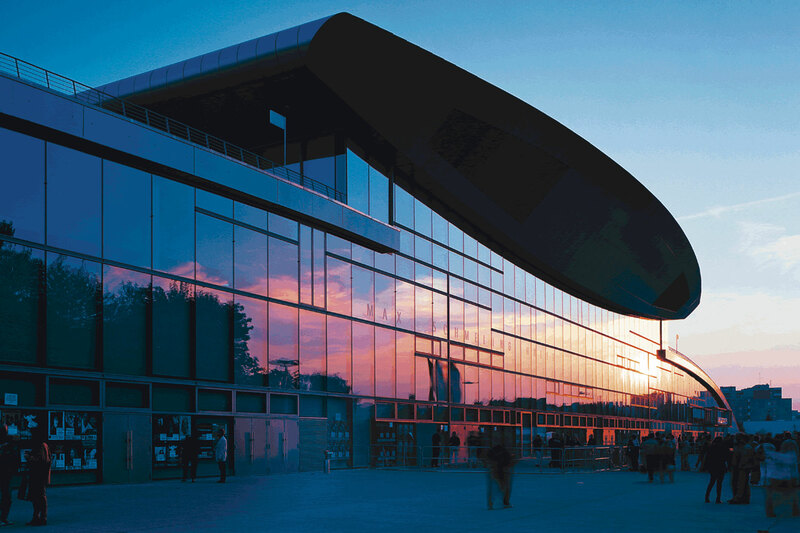 After the failure of the tender it became a multifunctional hall for sports, culture and congresses. The dancing and gymnastics competitions were part of the events in the hall as well as concerts with military and brass bands, Billy Talent, Seeed or the Tote Hosen. Equally, congresses and gala and political party events were part of the use profile. 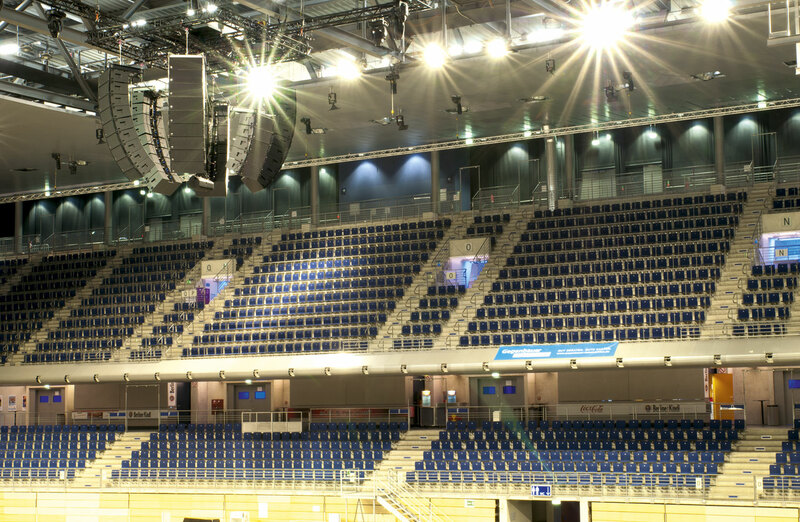 The dimensions of the new sound system have to be optimized for sport events with a capacity of 1.500 to 8.500 spectators. Additionally it should also be appropriate for smaller conferences and congresses with 500-1.500 visitors, stage shows with 6.000 visitors, big events with central stage, TV productions and as support for live concerts. The use of line array systems came into consideration in order to favor a regular and sufficiently high direct sound level for the central solution. Various reasons were in favor of the SEQUENZA 10 system of Kling & Freitag: By its sound the system was evaluated as one of two outstanding systems. A solution of modules without integrated amplifier was an argument regarding size and weight with view to quick changes of installation. A SEQUENZA 10 module weighs 34 kg, and the system includes a flying system which is conceived for the quick installing and uninstalling in case of temporary operation. Also, for maintenance and monitoring the new TOPAS amplifiers of the system Kling & Freitag provide a webbased monitoring platform, permitting also mobile monitoring or monitoring from the office. The multifunctional character of the Max-Schmeling hall requires a sound system with flexible possibilities of use. The new system includes 50 SEQUENZA modules of Kling & Freitag which may be employed in central position in the center of the hall and also as a front sound system, procuring high flexibility not only for the choice of place. 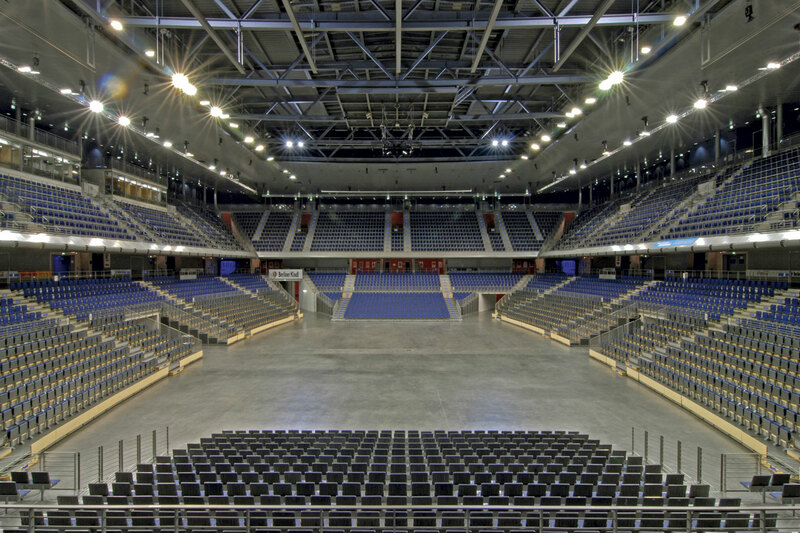 There are also qualitative characteristics which ensure the right sound for congresses with speech reproduction, concerts, gala or sports events.